Give mom a bouquet of flowers that not only look beautiful but also taste delicious! 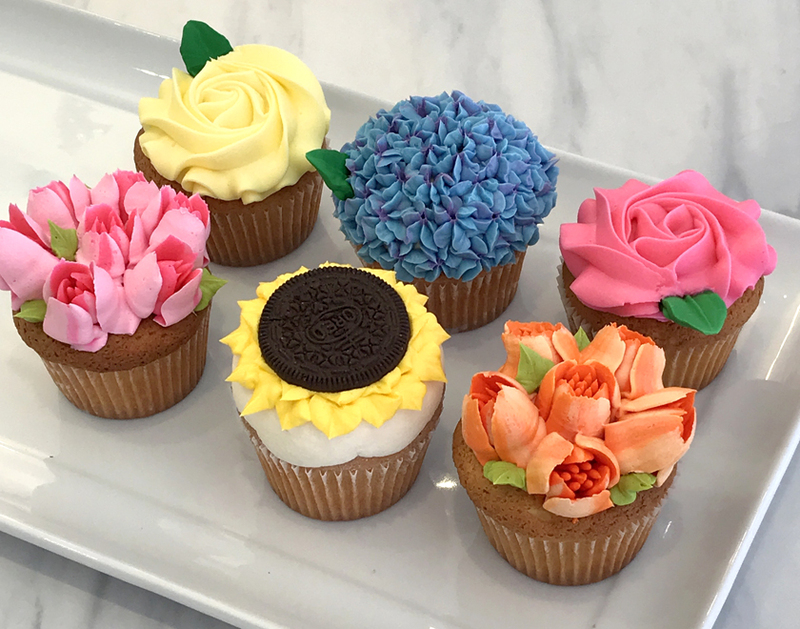 We've created 6 different floral cupcakes for the perfect arrangement that retail for $20. Call today to preorder your Mother's Day Floral Cupcakes or stop in to the store on Saturday, May 12th when we will have a limited supply in the case. They are the perfect dessert to any Mothers day meal!